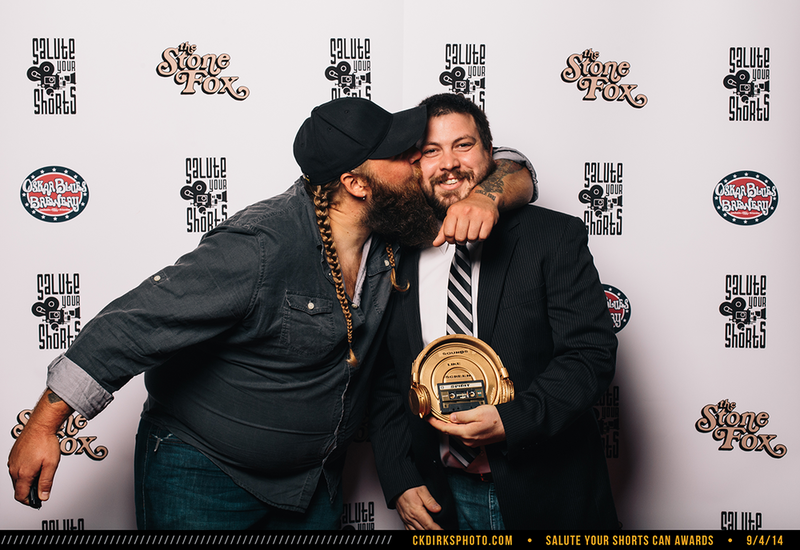 SALUTE YOUR SHORTS | PHOTOBOOTH! Have you guys been to Salute Your Shorts Night at the Stone Fox in West Nashville? If not, you really should check it out. Also, Caleb has been emcee'ing it...so you really should come see :) Each month (the first Thursday of each month) they show short films by locals! It's such a great community and you get to see some awesome little and big projects made by your Nashville neighbors! They celebrated their one year anniversary and we got to do a photobooth for the occasion. Happy one year, Salute Your Shorts! Looking forward to many more months of short films! BRITTNI + MATT | PHOTOBOOTH!